Jagdeep Singh Research Scholar, Department of Computer Science & Engineering, SBSSTC, Ferozepur, Punjab. In present days cloud computing is one of the greatest platform which provides storage of data in very lower cost and available for all time over the internet.But it has more critical issue like security, load management and fault tolerance. In this paper we are discussing Load Balancing approach. Many types of load concern with cloud like memory load, CPU load and network load. Load balancing is the process of distributing load over the different nodes which provides good resource utilization when nodes are overloaded with job. Load balancing has to handle the load when one node is overloaded. When node is overloaded at that time load is distributed over the other ideal nodes. Many algorithms are available for load balancing like Static load balancing and Dynamic load balancing. Wu, H.-S., Wang, C.-J., and Xie, J.-Y. (2013a). Terascaler elb-an algorithm of predictionbased elastic load balancing resource management in cloud computing. 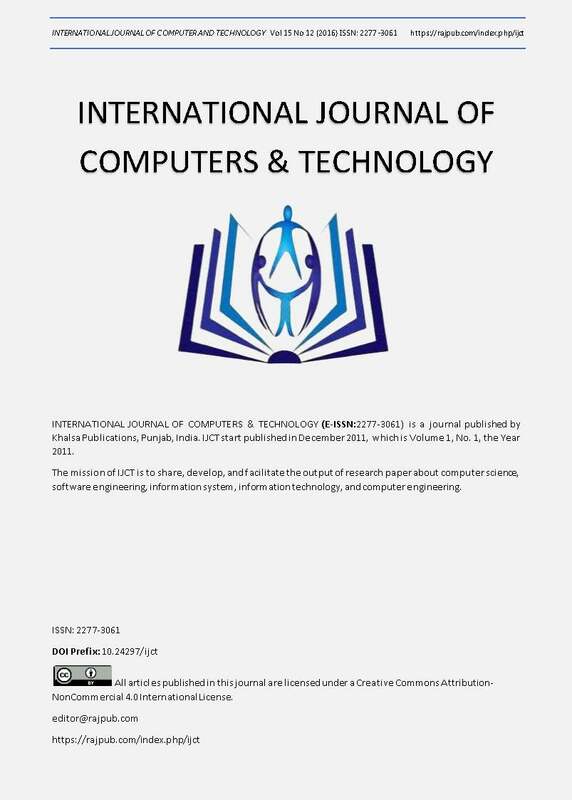 In Advanced Information Networking and Applications Workshops (WAINA), 2013 27th International Conference on, pages 649-654. IEEE.